At Oliver Rocket we care about every ingredient that goes into our bath and body products. That is why we only source the highest quality, simple, natural ingredients, made right here in the USA. Rather than mass production we focus on the small scale to ensure each product we produce gets the same love and attention. We are a small, family owned company that really takes pride in what we do. We have extensively studied the market to ensure we are only providing top of the line products. Customer satisfaction is everything to us, so we promise to do anything we can to make sure you are 100% satisfied with your purchase. 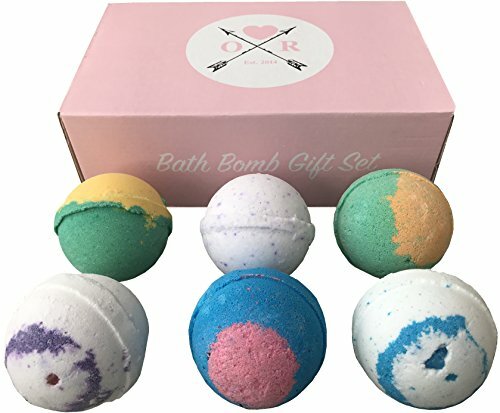 Oliver Rocket Bath Bombs are a mixture of fizzy, fragrant and soothing scents created for a relaxing bath time experience. Our bath bombs are handmade in the USA using only high quality, vegan and gluten-free ingredients. The perfect Mother's Day gift, Valentine's Day gift, Wedding Shower gift, Birthday gift, Bridesmaid gift, Christmas gift, or any other special occasion. Directions: Fill bathtub with desired amount of warm water. Remove bath bomb from packaging and place in tub for a luxurious spa-like experience. Ingredients: Baking Soda, Citric Acid, Kosher Sea Salt, Water, Shea Butter, Coconut Oil, Sunflower Oil, Colorant and Fragrance Oil. If you have any questions about this product by Oliver Rocket, contact us by completing and submitting the form below. If you are looking for a specif part number, please include it with your message.